Send paperless invoices via email or text message and customers can immediately pay online or mail you checks in the traditional manner. 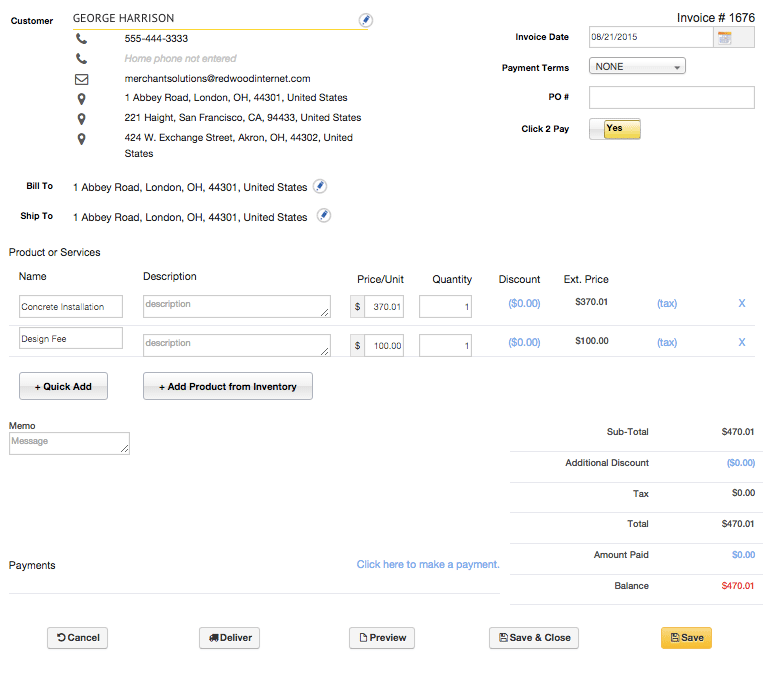 Customers can click to pay from the email invoice through your own merchant account. If customers pay with credit cards, the processing fees are about as low as they come and are significantly lower than services such as PayPal or aggregators such as Square. Accept credit cards with your own low-priced merchant account and avoid paying higher fees for gateways or payment services. We can directly tie your website into the MX Merchant system to enable website ordering of your products and services at these low processing rates. This is the lowest cost and best way you'll find to process online payments, and will save you significant amounts of money vs. other gateway services or payment providers such as PayPal.  Create invoices and deliver them via email or text message (shown below). Customers can click a link to pay directly from the email invoice. With processing fees about as low as they get, you'll save on every transaction. 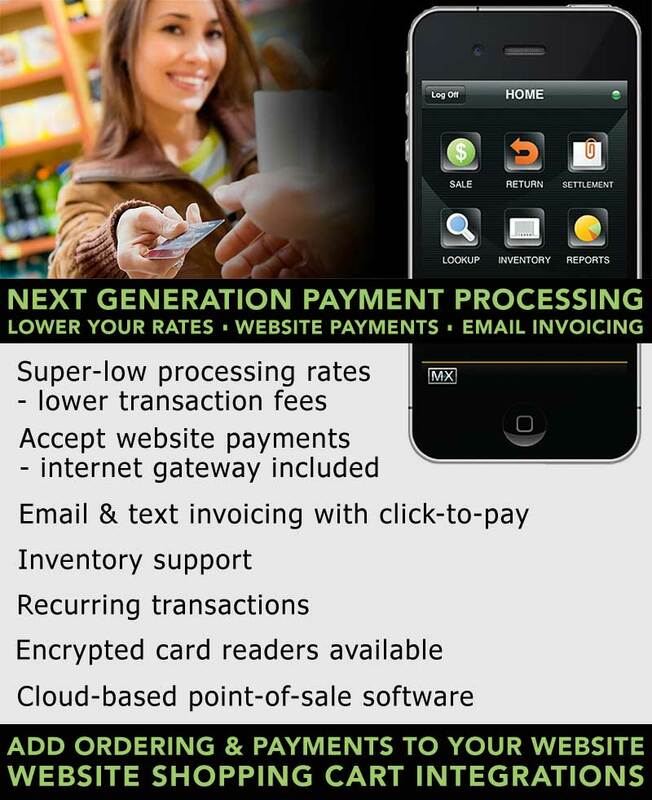 MX Merchant is the smart choice for managing your invoices and processing payments online. With MX you can easily send invoices via email or text message, and customers can send you a check or click to pay you online. We're offering the MX Merchant solutions and payment gateway at low Interchange-based rates as part of our portfolio of e-commerce solutions. These rates will save your business money when processing payments. MX Merchant comes with Additional Features that can benefit your business too.